Cancer. Smoking can lead to cancer of the lung, mouth, larynx (voice box), esophagus, stomach, liver, pancreas, kidney, bladder, and cervix. Nicotine is the drug in tobacco that makes cigarettes so addictive. It’s one reason why the first few weeks after quitting are the hardest. Although some people who give up smoking have no withdrawal symptoms, many people continue to have strong cravings for cigarettes. They also may feel grumpy, hungry, or tired. Some people have headaches, feel depressed, or have problems sleeping or concentrating. These symptoms fade over time. Try the online mobile tools from Smokefree60+ at http://www.60plus.smokefree.gov/. If at first you don’t succeed, you are not a failure. You can try again and be successful. 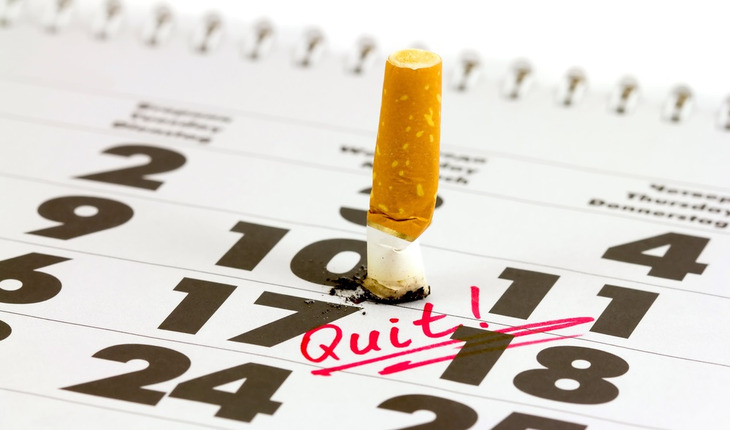 If you were able to quit smoking for just 24 hours in the past few months or weeks, you have doubled your chances of quitting for good in the coming year! There are also products that require a doctor’s prescription. A nicotine nasal spray or inhaler can reduce withdrawal symptoms and make it easier for you to quit smoking. Some people think smokeless tobacco (chewing tobacco and snuff), pipes, and cigars are safe alternatives to cigarettes. They are not. Smokeless tobacco causes cancer of the mouth and pancreas. It also causes precancerous lesions (known as oral leukoplakia), gum problems, and nicotine addiction. Pipe and cigar smokers may develop cancer of the mouth, lip, larynx, esophagus, and bladder. Those who inhale when smoking are also at increased risk of getting lung cancer. Reprinted courtesy of the National Institute on Aging. For more information on the NIA, visit www.nia.nih.gov.